NGC6952 is a barred spiral galaxy in the constellation Cepheus, and is surrounded by the dust from the Integrated Flux Nebula. 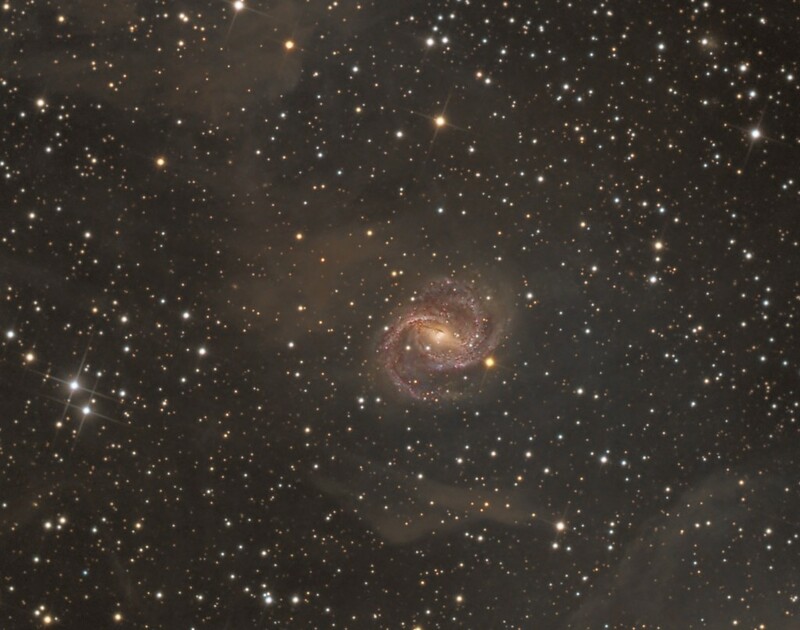 The IFN is dust high above our own galaxy illuminated by the Milky Way itself. 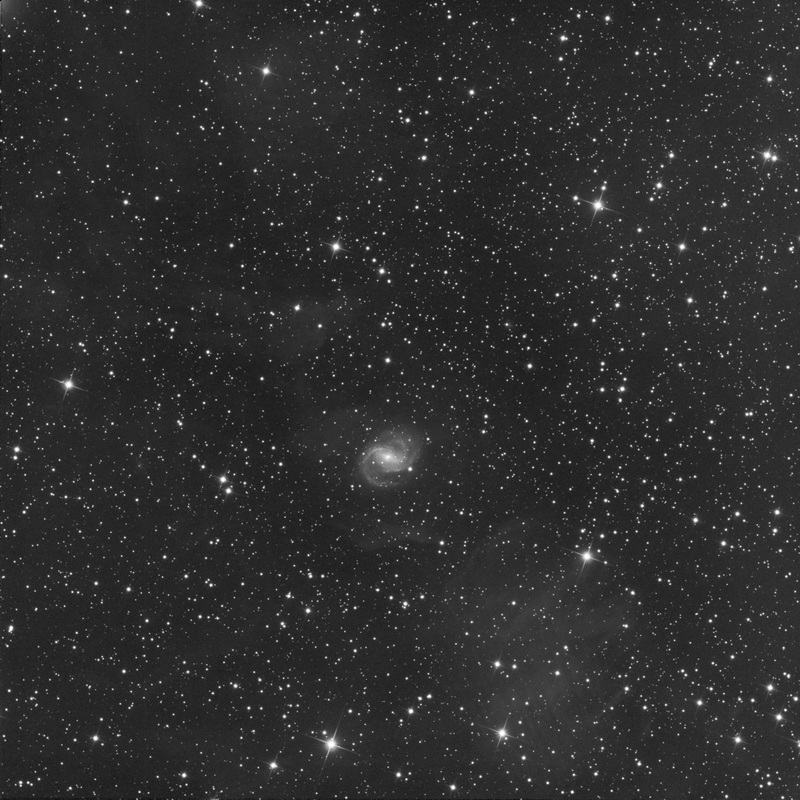 It’s apparent size is 3.8 x 3.3 arc-minutes. 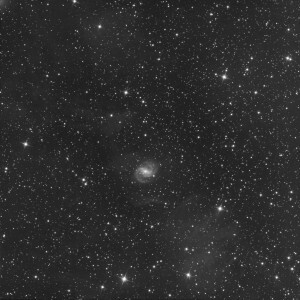 The estimated distance from earth is about 60 to 80 million light years. 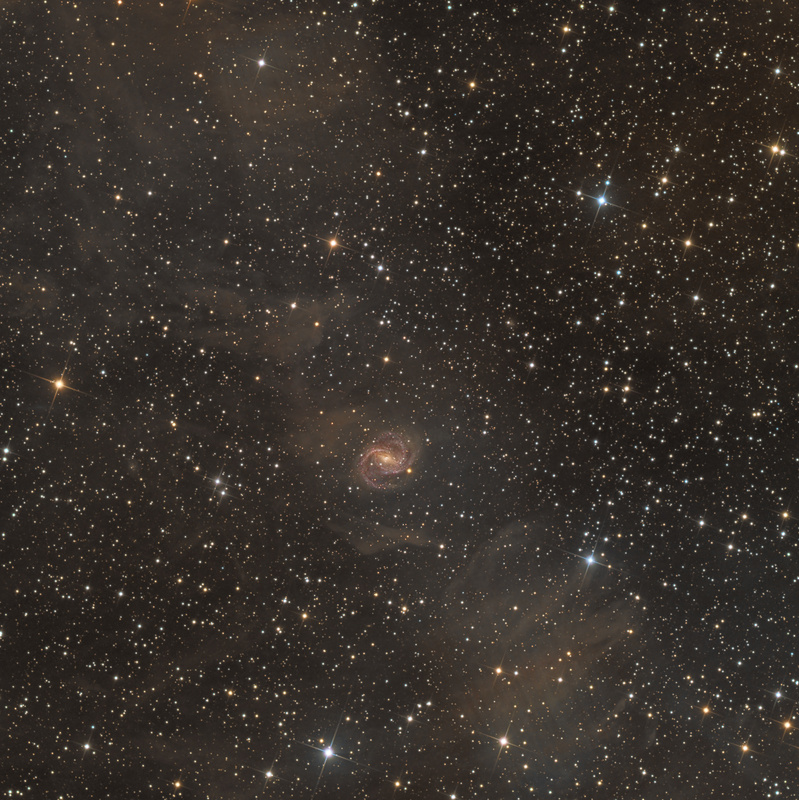 It is approximately 75 thousand light years across. 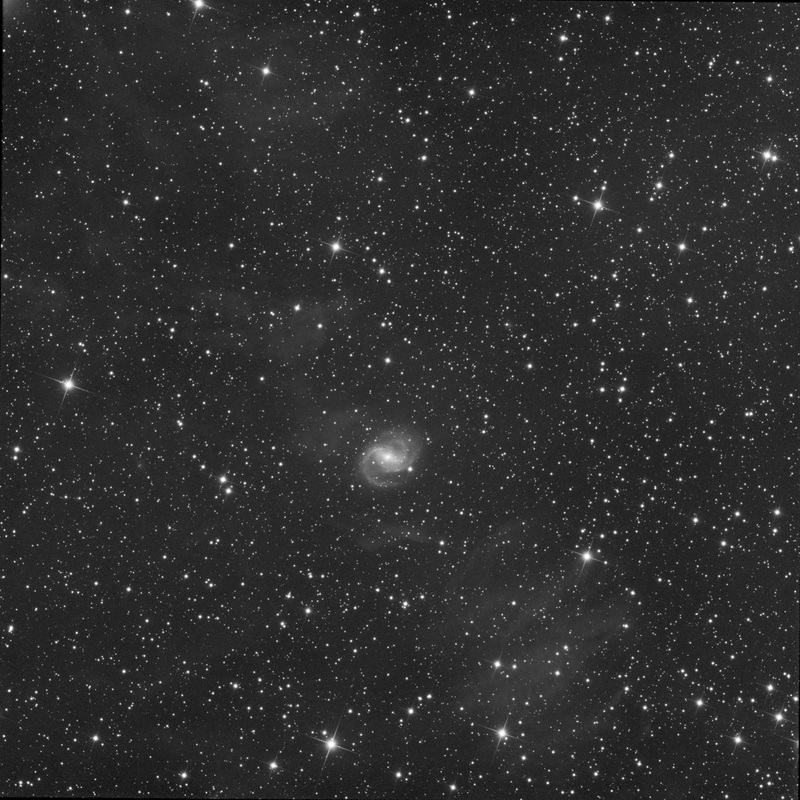 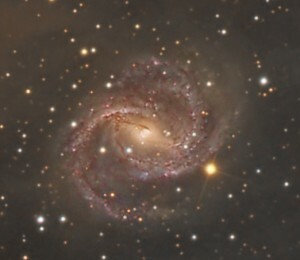 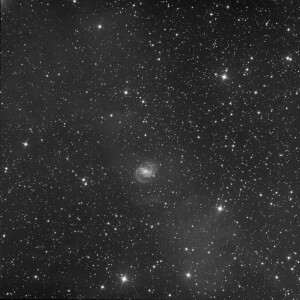 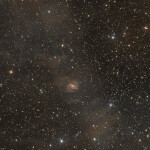 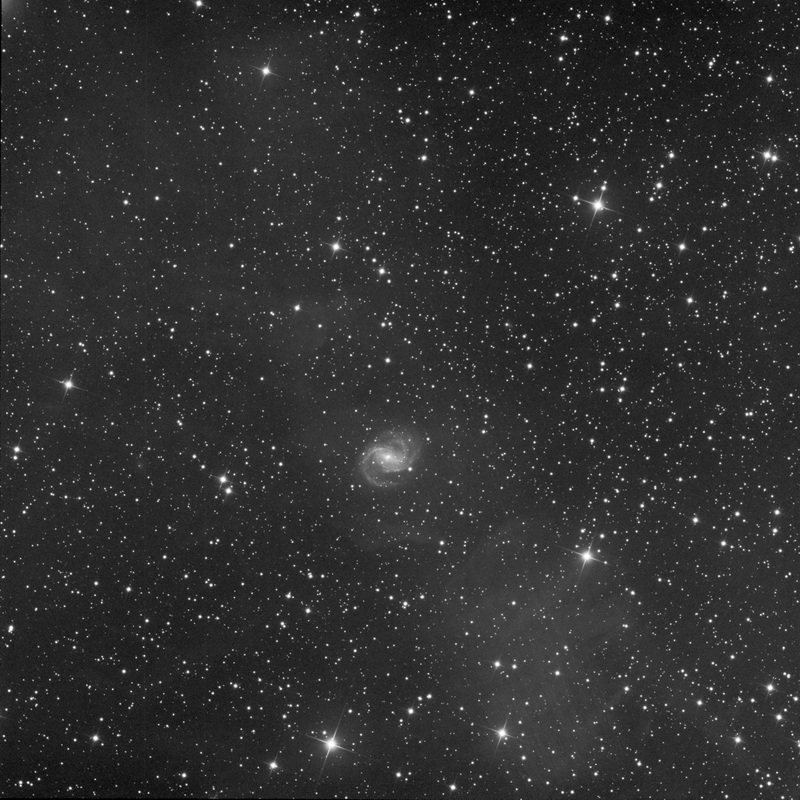 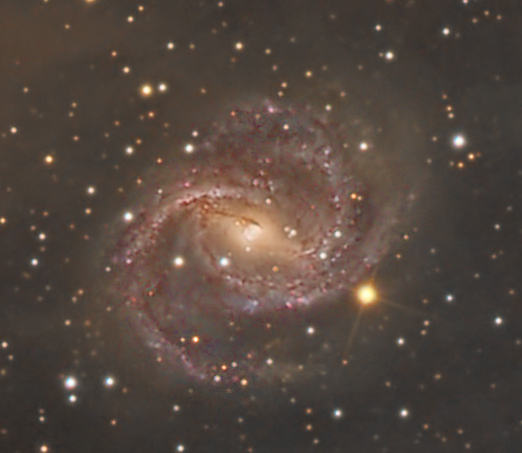 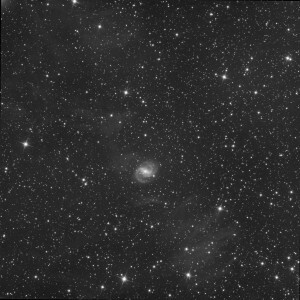 The bright core classifies NGC 6951 as a Seyfert galaxy. 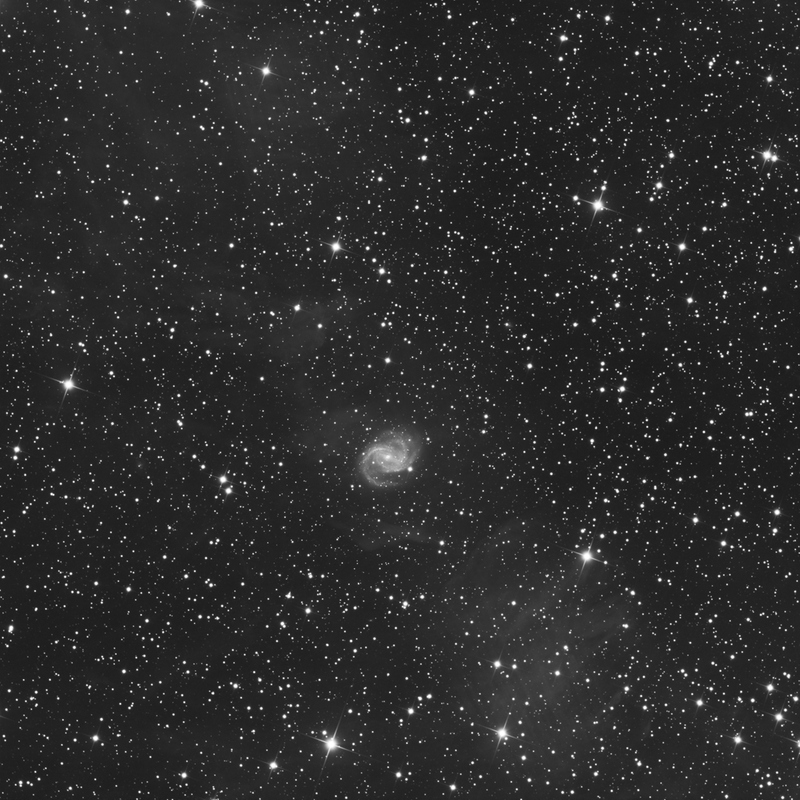 This is also known as NGC6951 due to a conflict in discoveries.